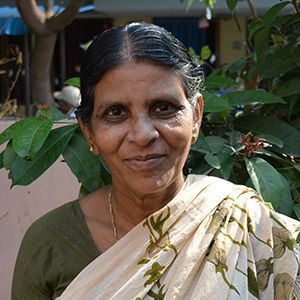 Rathnam's husband died in 2016 due to a lung infection he acquired while working in a cotton factory. Since his death, Rathnam has struggled financially. She has taken work as a sweeper, but her meager income doesn't provide enough for her to have sufficient food on a daily basis. *She does not know her actual birth date, above is her approximate age. Read more stories of other widows in need of sponsorship. © 2018 India Partners | India Partners is a 501(c)3 charity. Your gift is tax-deductible as allowed by United States law. Use our contact form to sign up for a newsletter / mailing list.